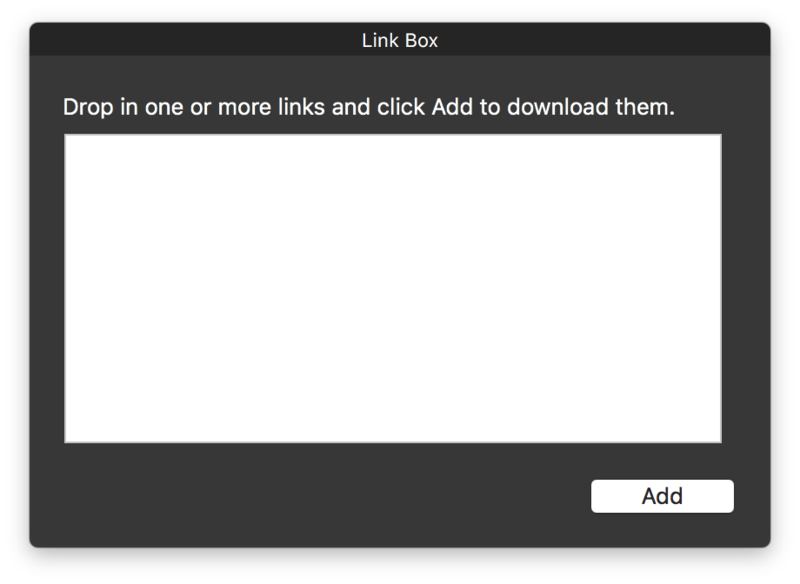 The Link Box feature comes handy when you have a text with a number of links and you need to add these links to the download queue at once. As you move the mouse cursor over the Link Box window it unfolds to provide you with a text field. Fill the field with text that contains links and hit "Add". Four links are found and ready to be downloaded. There’s no need to add links manually one by one, use the batch feature instead. The thing that starts with “^” is a placeholder and what’s enclosed with brackets is a range. Each placeholder can have several ranges separated by comma. Ranges can be numeric (decimal or hexadecimal) or alphabetical. 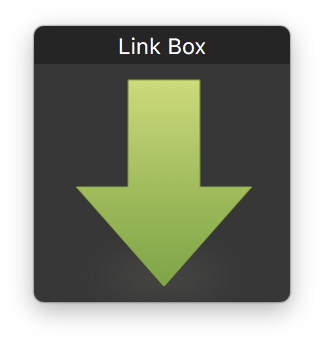 Now open Link Box (⌘+D), paste there the address and click Add to check how it works. You can specify range bounds using digits only. Number of sharp signs before range defines minimal number of characters produced by the placeholder. Addition of “H” after range definition gives upper-cased hexadecimal number and “h” give lower-cased. This type of placeholders is much like the numeric one but instead of using digits we use letters of English alphabet. Letter case does matter. Don’t mix capital and small letters.